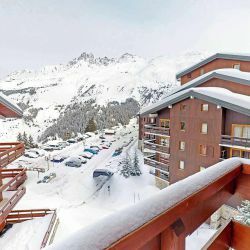 Newly renovated, modern and sunny 1.5 bedroom apartment in Meribel Mottaret in excellent location on the piste and close to ski lifts. 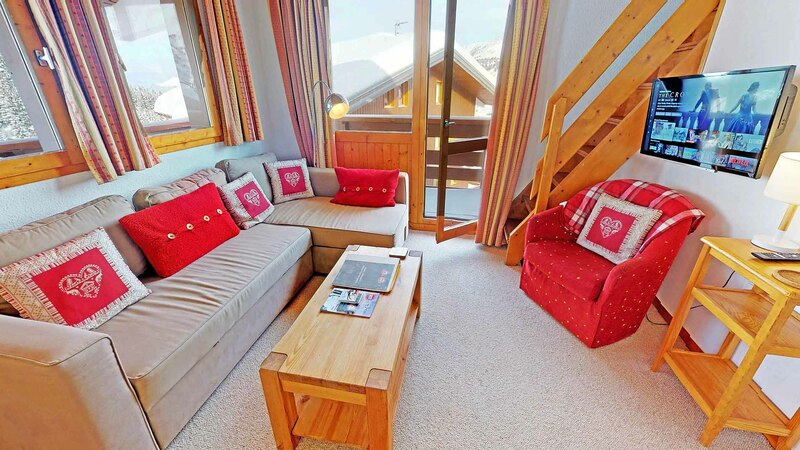 Great for family groups with young children as very close to all amenities and easy access to slopes. 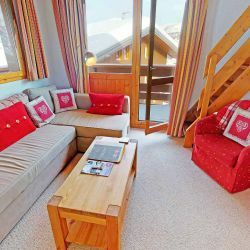 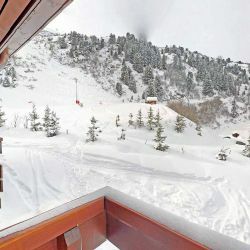 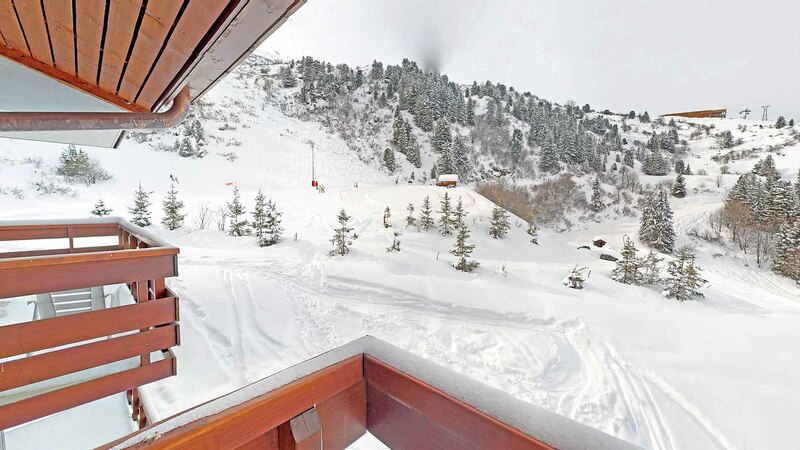 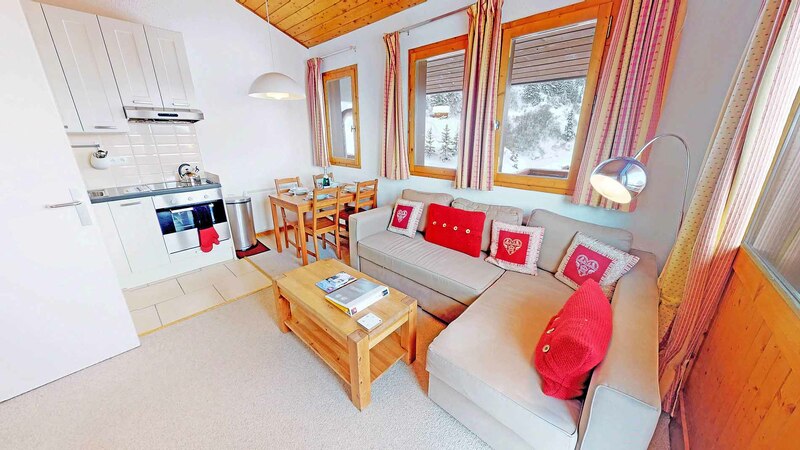 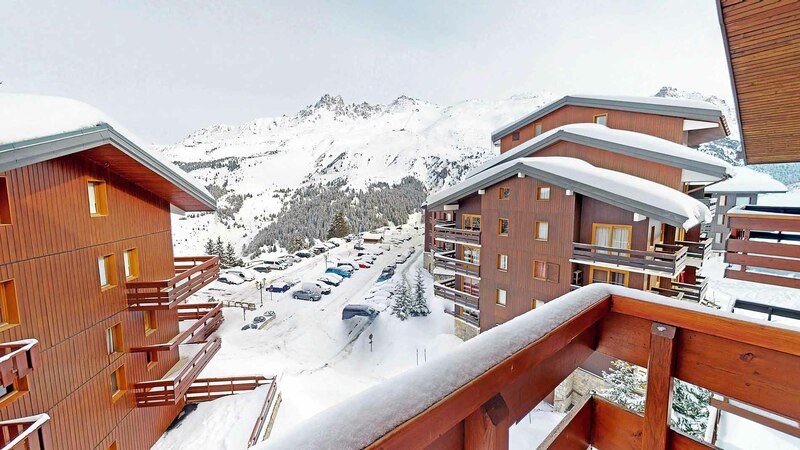 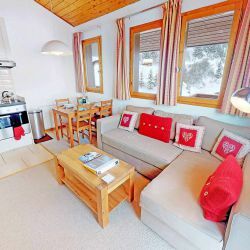 This fourth floor apartment overlooks the Perdrix and Combe de Laitelet pistes with direct and easy access on skis to the centre of Mottaret and Meribel. 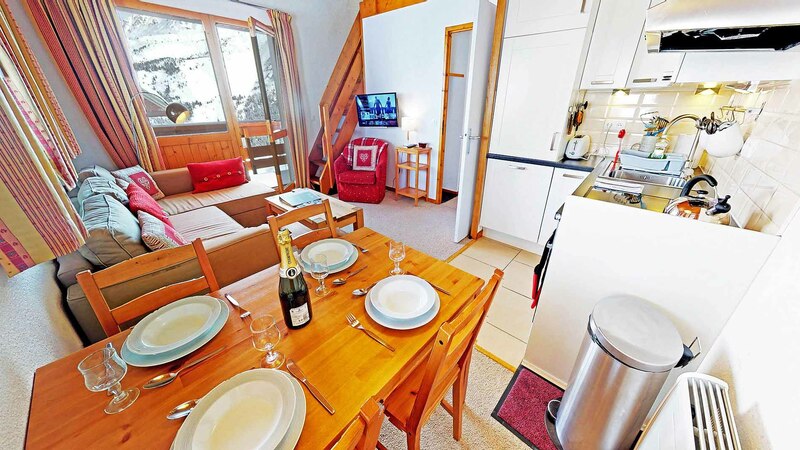 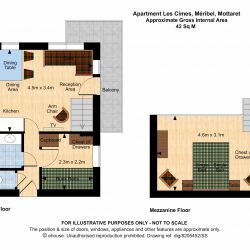 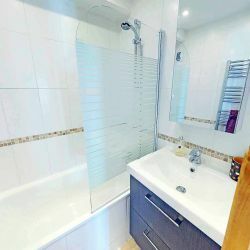 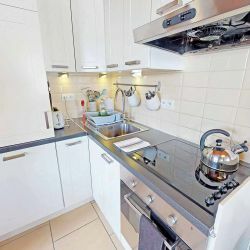 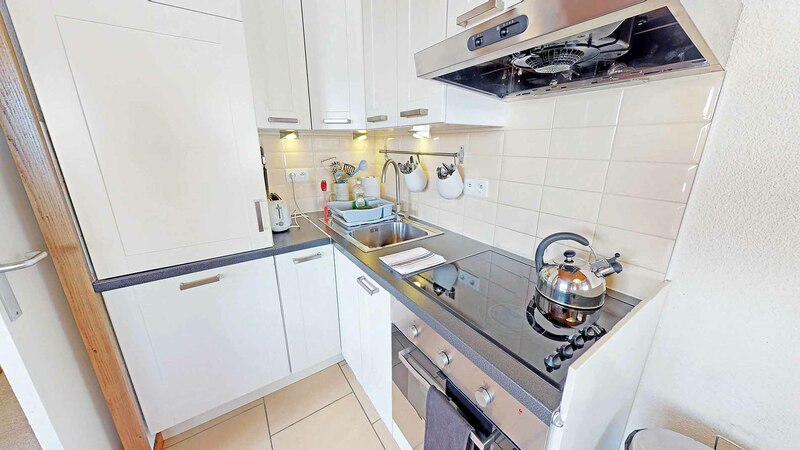 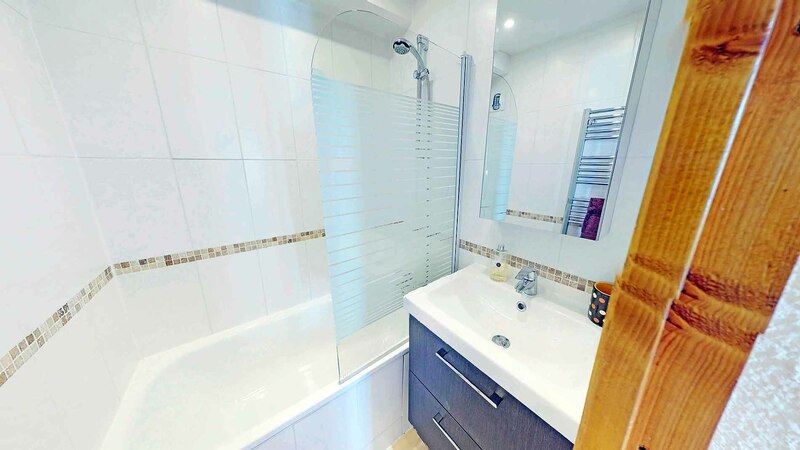 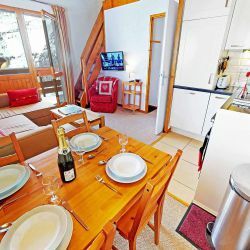 The apartment has a small entrance hallway leading on to a combined lounge, dining area and kitchen with wrap around balcony which faces north towards the Tougnete mid-station and north-west across the valley towards Saulire. 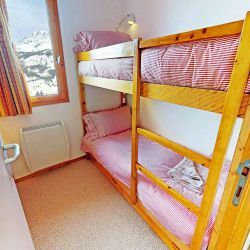 There is a small bunk room (2 beds) off the hallway as well as the bathroom and a separate toilet. 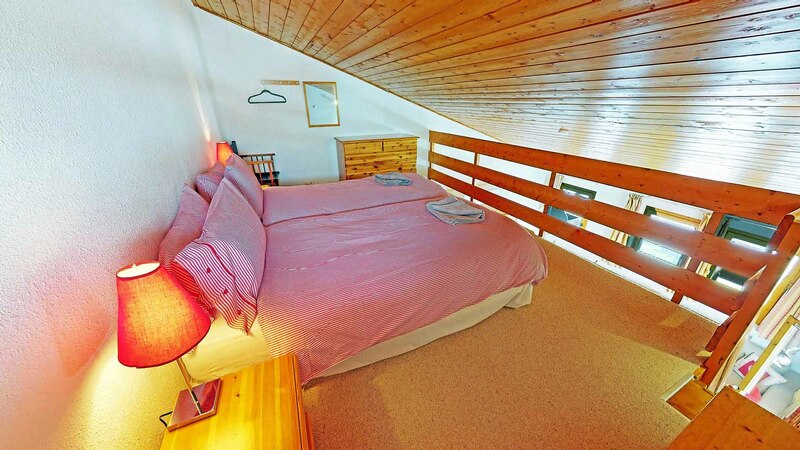 Upstairs there is a large mezzanine with sloping ceiling that has an Austrian Twins (2 twin beds pushed together). 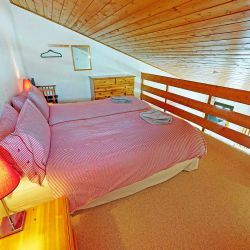 Possibility of sleeping a child on a pull-out mattress on mezzanine floor. 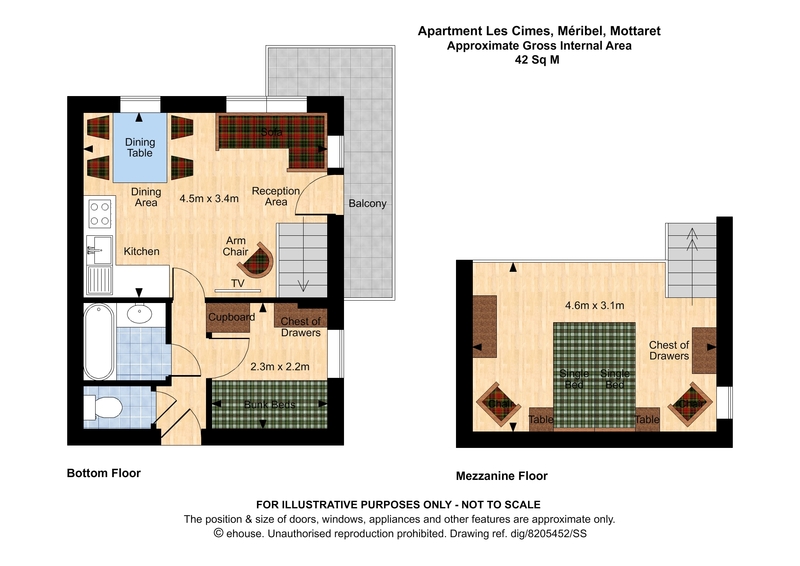 Balcony Details - 2 balconies, 1 facing south another facing south east.